How Does a Prison Inmate Spend a Day? 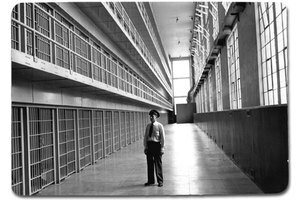 Each prison has its own rules and regulations concerning the daily activities of inmates. Some prisons have work programs, treatment programs, educational programs and other inmate activities. 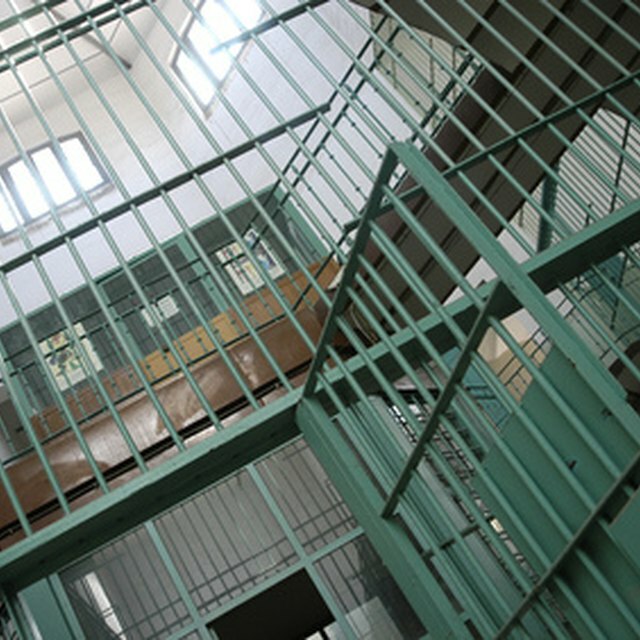 Some prisons expect inmates to stay in their cell all day. Another factor that determines the way an inmate spends the day is the security classification of the inmate. 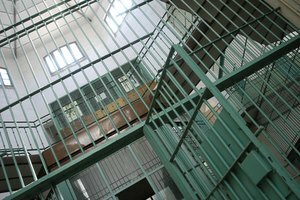 A high security inmate, or dangerous inmate, is less likely to be able to participate in activities outside of his cell, while a low security inmate is more likely to participate. Visitation days and days when the prison is on lock down are usually the only days on which the daily routine is altered. 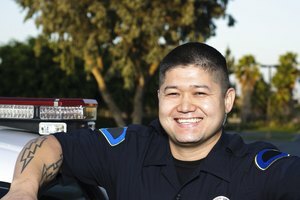 An inmate’s day usually begins with a wake up call from the Correctional Officer on duty, usually at the shift change from night shift to day shift. The time for this call can range anywhere from 4 a.m. to 8 a.m. depending on the facility. Roll call is usually done at this time to ensure all inmates are accounted for. Inmates are usually allowed to get dressed in day clothes before going to breakfast. After breakfast, inmates in facilities with work programs, such as working in the kitchen or garden, will usually go to work. 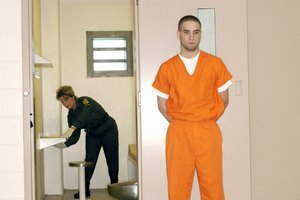 Some inmates go to school instead, while others may have to go to treatment programs, including drug treatment programs. The inmates stay at their assigned location until lunchtime. At this time, another roll call is usually done. After lunch and roll call, the inmates usually return to their assigned job or program. When the work for the day is done, the inmate will return to his cell. This is the time that is usually spent cleaning the cell, writing home, drawing, working out or socializing with other inmates. Some prisons allow inmates to spend their free time in a common room playing cards or watching television. Dinner is served during this time in the cafeteria, although some prisons serve the inmates while in their cells. Showers are usually handled at this time, too. The day ends with another roll call and finally lights out. Although the unit is usually fairly dark after lights out, some inmates choose to write letters or read books. However, because of the early wake up call the will come the following morning, most inmates welcome lights out and try to get as much sleep as possible. Holley, Casey. "How Does a Prison Inmate Spend a Day?" 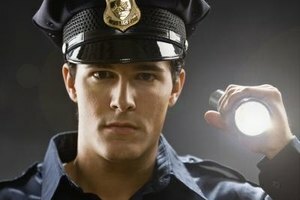 Synonym, https://classroom.synonym.com/how-does-a-prison-inmate-spend-a-day-12078540.html. 29 September 2017.